I’m a bit of a rarity as far a hikers go when it comes to choosing socks. Having worked outside for the majority of my life I have a reasonably high tolerance for cold so unless I’m hiking is snow I prefer my socks to be on the lighter side. I also want a sock that has a reasonable degree of padding on the sole of the foot given that I often do big mileage and I want this without the excessive heat present in thicker socks which make my feet sweat. This combination can be hard to find. I recently had the opportunity of trying out the Wilderness Wear Multi Sport Socks and on paper it appeared to meet my needs. So how did it go? Over the past year I have come to love Merino wool based socks. I just find that they are more comfortable. 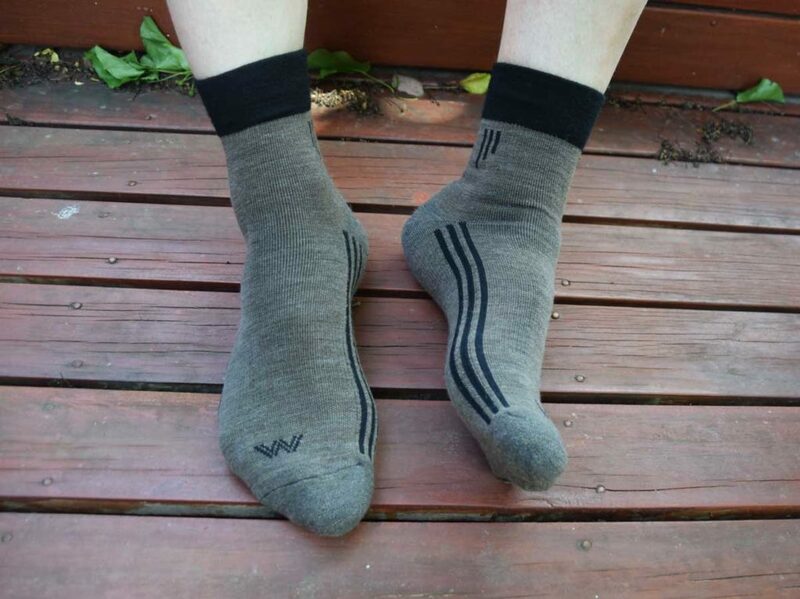 The Wilderness Wear Multi Sport Socks are made from 80% Australian wool from sheep bred in Tasmania with a focus on quality and sustainability, and avoiding chemical pollutants during the fibre treatment process. The socks do contain 10% Nylon and 10% Lycra for stretch and wicking. The addition of this small amount of synthetic fibre works well and delivers a sock that fits snuggly but feels really comfortable to wear. Recently I reviewed the Wilderness Wear Cape to Cape Light Hiker Sock and while the Multi Wear Socks contain the same material the sock length and thickness of the material is different where it counts. I personally prefer a shorter sock in most cases so the 1/4 length on the Multi Wear socks is ideal for me. I find that these socks provide good cushioning under the soles of the feet but the weave of the material on top of the feet is the biggest difference being much lighter than the Cape to Cape Light Hiker Sock. From a purely subjective perspective the Multi Wear socks are approximately 10% cooler than the Cape to Cape Socks and this falls into my ideal warmth range; ‘Not too cool, not too hot’. 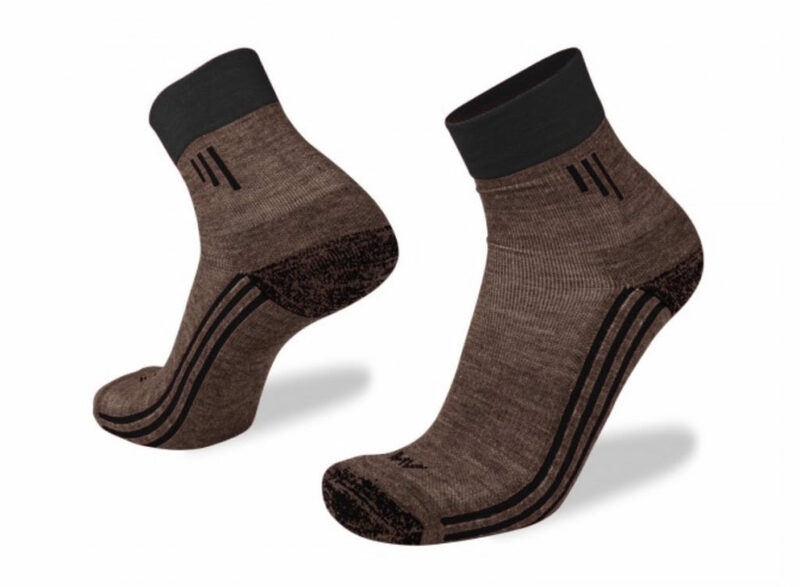 The Wilderness Wear Merino Multi Sport Socks come in three sizes and four colours with the smaller sizes being ‘female’ friendly’ (the colours, go figure) and so are really best considered a unisex sock. They are well made, snug fitting and comfortable socks. Like many of the other Wilderness Wear socks they also contain stretch sections that keep the socks in place, even when wet. While these socks are sold as ‘Multi Wear’ I find that they are an ideal hiking sock. I also like the price point on these socks at under $30AUD, which for a high quality Australian made, Australian wool sock, is pretty good. Coming from an Australian manufacturer also means that they are easy to get a hold of. This sock ticks all the boxes for hiking from my perspective and will definitely find a home is my hiking arsenal.